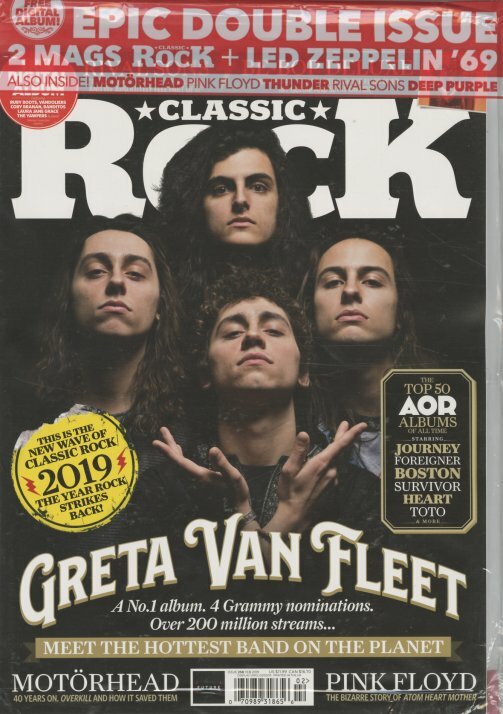 The issue celebrates the "new wave of classic rock 2019" – with a big cover feature on Greta Van Fleet – amidst other articles on Pink Floyd, Thunder, Deep Purple, and Motorhead. There's also a look at the top 50 AOR albums of all time – with entries from Toto, Boston, Heart, Journey, and Foreigner – and the issue also includes a special issue dedicated to the Birth Of Led Zeppelin in 1969! © 1996-2019, Dusty Groove, Inc.